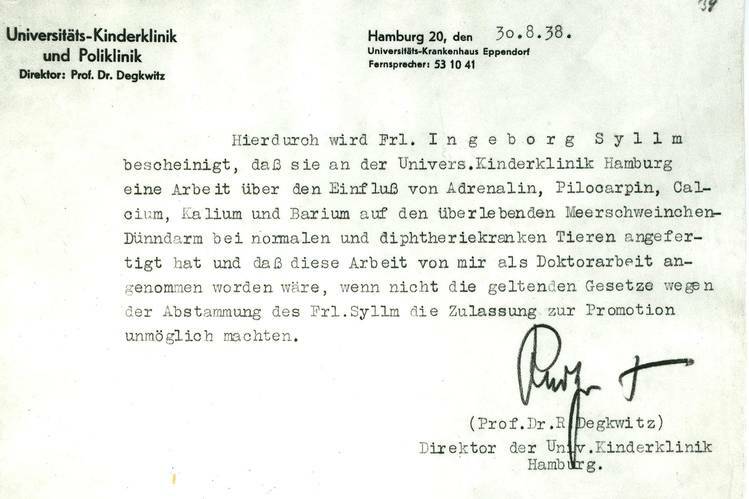 In 1938, Ingeborg Rapoport was denied the right to defend her doctoral thesis in Germany. Seventy-seven years later, she was given a second chance. The 102-year-old, who lives in Berlin, was just 25 when she wrote her doctoral thesis on diphtheria, an infection that among the leading causes of death for children in Europe and the U.S. at the time. Because her mother was Jewish, Rapoport was deemed ineligible for academic advancement by the Nazi regime. Ingeborg Rapoport was 25 when she wrote her doctoral thesis, but she had to wait until Wednesday to defend it before an academic committee—77 years later. Ms. Rapoport, a 102-year-old retired neonatologist who lives in Berlin, submitted her thesis to the University of Hamburg in 1938, five years after Adolf Hitler took power. Her topic was diphtheria, an infectious disease that was then a leading cause of death among children in the U.S. and Europe. Ms. Rapoport’s professor, a one-time Nazi party member, praised her work, she recalled. But that wasn’t enough. “I was told I wasn’t permitted to take the oral examination,” she said. Academic authorities in Berlin cited “racial reasons” for the ban: Ms. Rapoport, née Syllm, was raised as a Protestant, but her mother was Jewish, making her “a first-degree crossbreed” in Nazi parlance. Officials marked her exam forms with a telltale yellow stripe and deemed her ineligible for academic advancement. 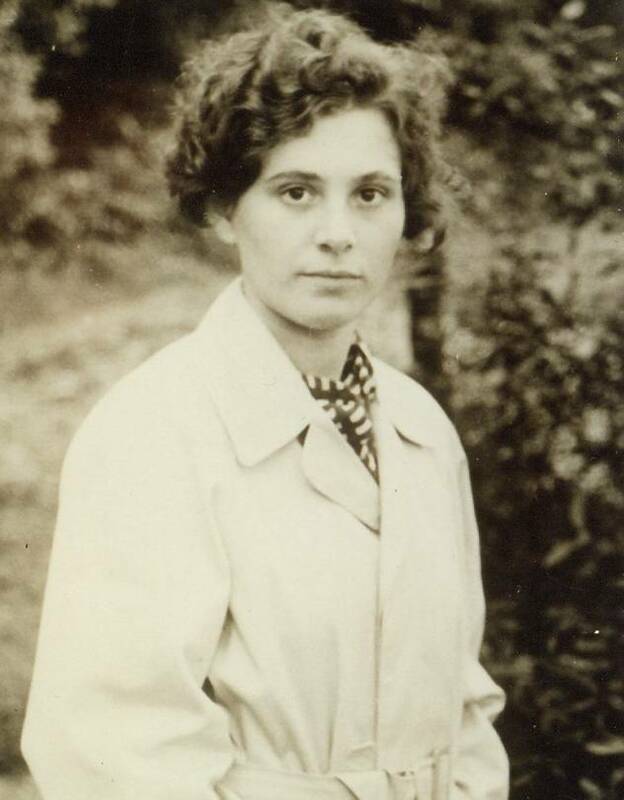 Her treatment was hardly unique: Thousands of “non-Aryan” students and professors were pushed out of universities in Hitler’s Third Reich, and many died in death camps. She and her family were spared that fate, though the University of Hamburg fervidly embraced the new order. Its dean declared the school “the first national-socialist institute of higher learning in the Reich,” styling himself the university’s Führer-Rektor and setting up new faculties of race biology and colonial law. Among the professors who ran afoul of the Nazis was Ms. Rapoport’s professor, Rudolf Degkwitz, whose expression of outrage over euthanasia at the children’s hospital, among other dissents, led to his imprisonment. In 1938, Ms. Rapoport, then named Ingeborg Syllm, emigrated penniless and alone to the U.S. She did hospital internships in Brooklyn, N.Y., Baltimore and Akron, Ohio. She applied to 48 medical schools and was accepted by one: the Women’s Medical College of Pennsylvania in Philadelphia. “I had great luck—and perhaps some tenacity,” Ms. Rapoport said. She landed her first job as an M.D. at a Cincinnati hospital, where in 1944 she met an Austrian-Jewish physician and biochemist, Samuel Mitja Rapoport, whom she married two years later. The couple flourished, as he received a Certificate of Merit from President Harry S. Truman for his work on blood conservation, and she rose quickly to head the hospital’s pediatric polyclinic. The couple had three children in rapid succession. But Mr. Rapoport was also getting unwanted attention from the government because of his links to the Communist Party, which his wife came to embrace as well. The two spent Sunday mornings distributing the Daily Worker in depressed areas of Cincinnati. The Cincinnati Enquirer soon got wind of that, and so did the House Un-American Activities Committee. Feeling the heat, Mr. Rapoport remained in Zurich after a pediatric conference in 1950. Ms. Rapoport, pregnant with her fourth child, joined him in Europe with their children. He unsuccessfully sought a position at his alma mater, the University of Vienna, before the family moved to East Germany. There Mr. Rapoport got his own biochemical institute, remaining active almost until his death in 2004. Ms. Rapoport founded the first neonatology clinic in either Germany at Berlin’s Charité Hospital and their children thrived in academic and medical careers of their own. “I have never felt bitterness,” she said. “I’ve been shockingly lucky in all this. For me it all came out well: I had my best teachers in the U.S., I found my husband, I had my children.” But still, she felt wronged. Only in recent months did it begin looking possible that she could receive the German doctorate she had been refused. A Hamburg colleague of Ms. Rapoport’s son Tom, a Harvard Medical School professor, told her story to the current dean of the University of Hamburg’s medical faculty, who took up the cause. The dean, Dr. Uwe Koch-Gromus, soon realized that the bureaucratic challenges weren’t minor. In March, the university’s legal department said that for three reasons—her original paper couldn’t be found, she had never completed her oral defense, and she had earned an M.D. from the U.S. anyway—Ms. Rapoport should just be given an honorary degree. Neither Dr. Koch-Gromus nor Ms. Rapoport was content to plaster over the injustice with an honorary doctorate; instead, he devised a legal pathway for her to qualify for the real one she was denied, and Ms. Rapoport started boning up. Her main practical obstacle has been her failing eyesight—she can’t read or use a computer. So she had relatives and biochemist friends trawl the Internet for the last seven decades of scientific advances in diphtheria studies and report back by phone. “I know a lot more about diphtheria now than I did then,” said Ms. Rapoport, who wrote in a 1997 memoir that her youthful devotion to medicine was partly inspired by the Christian missionary Albert Schweitzer. On Wednesday Dr. Koch-Gromus and two other professors settled into the brown-and-orange furniture in Ms. Rapoport’s Berlin living room and drilled her for 45 minutes before approving her doctorate—nearly eight decades after she applied. The university has scheduled a ceremony in Hamburg on June 9, when Ms. Rapoport will become, by all available evidence, the oldest person ever to receive a doctoral degree. Guinness World Records has cited a 97-year-old German as the oldest recipient of a doctorate.